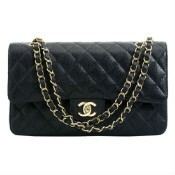 Hire a Chanel Shopping Bag and other Designer handbags from ELITE COUTURE. The iconic CHANEL Shopping Bag is a timeless accessory which every women dreams to have. 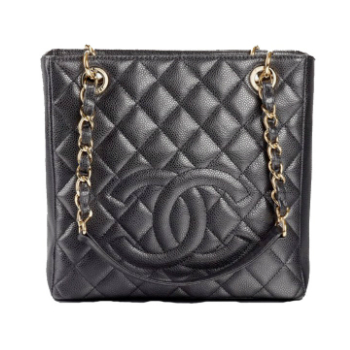 This beautiful Classic CHANEL handbag comes in quilted grained calfskin exterior and gold metal chain interlaced with leather strips and big signature “CC” logo gracing the front. The interior of the bag includes two open and one zipped compartments with one flap and one zipp pocket and one open pocket on back. Small size. Deposit Required. 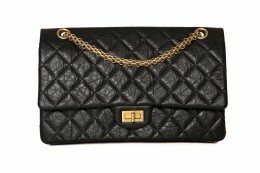 Product Attributes: Black, Chanel, Classic, Gold Hardware, Iconic, Leather, Metal Chain, Quilted, Timeless, Top Handle..